Join us for our 30th anniversary UUCSS Catoctin Mountain Fall Retreat! 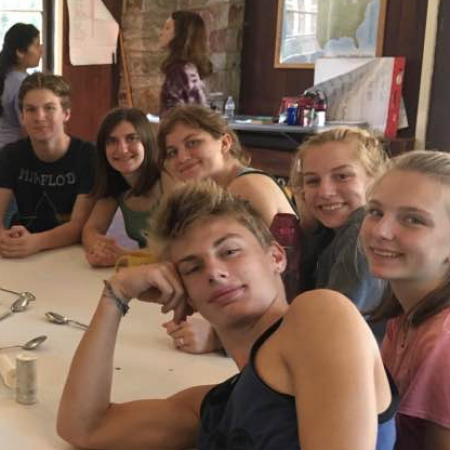 From September 21-23 we will gather at Catoctin Mountain Park, in nearby Thurmont, Maryland to make music, play games, prepare and share meals, hike, relax, and get to know each other better. If you are new to UUCSS it’s a great way to get to know many members of our community. Everyone: young and old, singles, couples and families, comes for the fun. Camp Greentop, where we traditionally gather, is undergoing a grand renovation, so we’ll relax this year just down the road at Camp Round Meadow, less than a 90 minute drive from church. We’ll sleep in heated dormitories with attached bathroom with hot showers. On-line registration will begin Sunday August 26th and end Sunday September 16th. If you have questions, many church members can tell you about this fantastic weekend, or feel free to contact Catoctin retreat coordinator Nicole Levesque at nlevesque@verizon.net or 240-687-3323.